Austrian chemist; born in Triest Oct. 5, 1850; studied at Vienna and Heidelberg. First as assistant, later as associate professor at the chemical laboratory of Vienna University, he published a number of important articles on organic chemistry, for which he received the Lieben prize of the Imperial Academy of Sciences on different occasions. 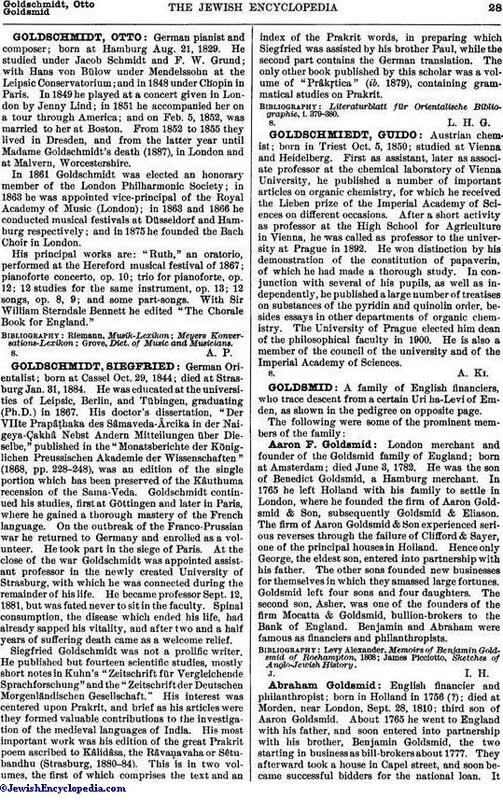 After a short activity as professor at the High School for Agriculture in Vienna, he was called as professor to the university at Prague in 1892. He won distinction by his demonstration of the constitution of papaverin, of which he had made a thorough study. In conjunction with several of his pupils, as well as independently, he published a large number of treatises on substances of the pyridin and quinolin order, besides essays in other departments of organic chemistry. The University of Prague elected him dean of the philosophical faculty in 1900. He is also a member of the council of the university and of the Imperial Academy of Sciences.